ROBYN is a nationally published artist of indefinite mediums. 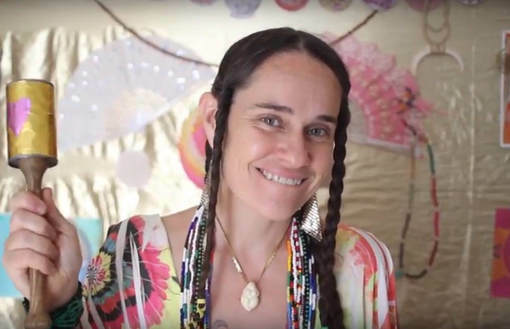 A multi-faceted Priestess of the heARTs, she shares her Love and inspiration with the world as a visionary painter, shamanic dance channel and fifth-dimensional artist weaving rainbow codes, light language and blessings into her paintings, dreamcatchers and mystical regalia. Robyn is part of the second wave of Indigo children born in the 1980s. Having a gentle rebellious disposition, she found beauty and validity in the dark corners of everything. Her heARTwork is the expression of her emotional journey through the unknown, unallowed and unapproved. After thirteen years of esteeming, expressing and discovering herself in the sparkling entertainment industry, a near-death experience eventually led her back to her mystical ancestry with a deeper sense of responsibility. Robyn was ready to go all natural, rooting herself into the Big Island of Hawaii in 2012. Pele fiercely and transformationally taught her to sharpen and attune to the creative fires of the womb, stand in Her Feminine Power in order to birth forth visionary depictions of human emotion with vulnerability in the most captivating way. 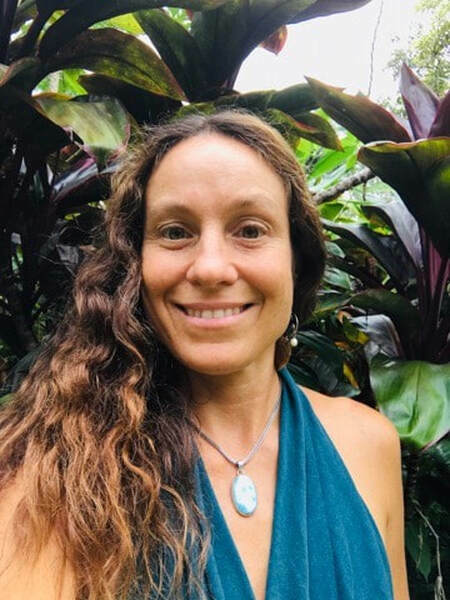 After exploring the island for a few years, Robyn has settled in Kona with her Beloved, continuing to seed, blossom and integrate herself as a wild and sacred channel of the Divine Feminine. West Africa, Peru and Brazil. She is honored to use indigenous instruments on a modern stage. to over 2,500 participants with intentions of healing and empowerment. Hope has always been in the healing and creative arts~ she has her solo albums and hand paintings for sale online at: hopemedford.com. 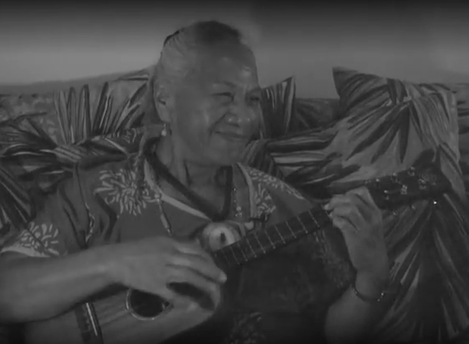 Kumu Hula Ali'i Kahuna Nui, hula teacher and high priestess, here in Puna Hawai'i. I've been teaching hula for about 26 years, and specialize in hula kahiko, the ancient hula, and chants. I've had the honor and privilege to study with 14 different hula masters, developing my own style with combining the different style's and teachings of my hula teachers. They met in 2009, working for a variety of environmental and human rights campaigns in California. Music had always been secondary to work they were involved with until a move to Big Island in 2016 sparked Ok2Change. 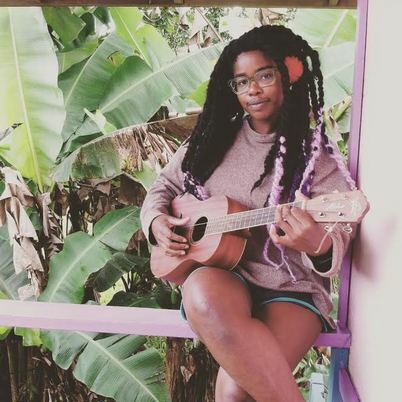 With Imani on vocals and Jay on guitar, Ok2change is a blend of folk and hip hop meant to inspire meaningful change within hearts and communities and to make music that connects us. 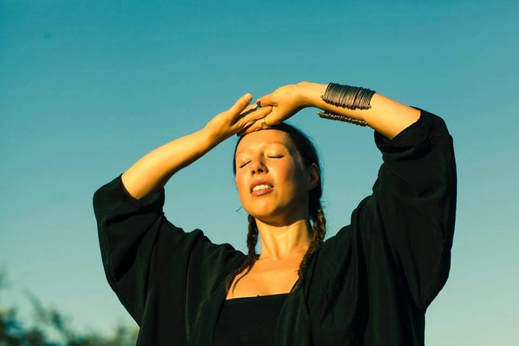 Shylah Ray is an award-nominated influential vocalist, musician, mother and activist. Originally Algonquin native of Canada, her music was rooted in Los Angeles, California after years of travel and the natural birth of her first daughter at home. Soon after this transformational event, she began writing and sharing her music, which would lead her to rapid success by composing a range of music that would be featured in film, documentaries and several social media platforms to be recognized. 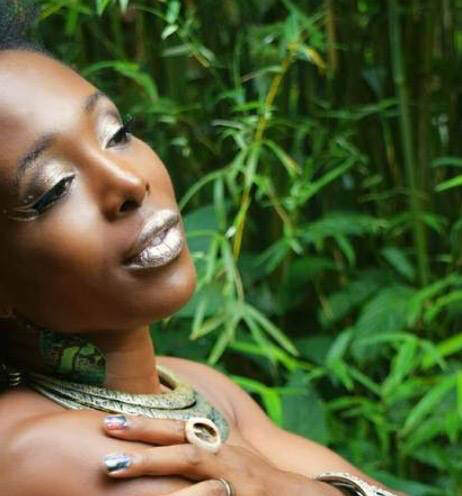 Blending grooves of Neo Soul, R&B, Reggae and Hiphop, Shylah has inspired people from all over the world with her gospel-like voice and moving lyrics. Self-taught vocally, on piano and a student of percussion/ traditional African drumming, the demand for her presence and music grows as she continues to reach new levels of creative stardom. She serves the community as a birth/postpartum Doula, (Soul Voice Singing) Coach and is Creative Director of a non-profit which promotes and provides sexual education and empowerment for all. Her collaborations have fueled a multitude of singles, album releases, tours, and larger scale opportunities ahead including a new EP, music videos and a full 2018 tour. Shylah hopes to inspire and uplift many generations to come by using the power, passion and pleasure of singing and performing. Since childhood, Amber Lily could be found humming in the garden. Both wildly inspired and heartbroken by the state of the world, her voice is her refuge. 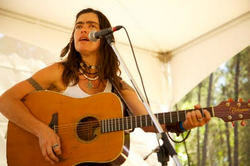 Her music is a call to reclaim health & wholeness, her voice a salve for personal & social wounds. 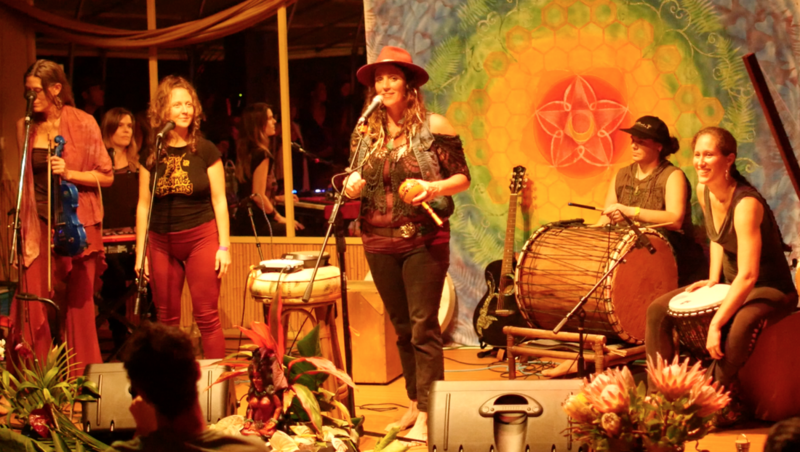 Teaming up with musician and partner Tubby Love, Amber is bringing music as medicine from the garden (their home in Hawaii) to the globe. Amber Lily is currently recording her debut full length album "Wild" to be released in 2018. DIANA AKI had already acquired the nickname “The Songbird of Miloli‘i” when she received the Female Vocalist of the Year award for her debut album, Memories of You, in 1990. One of the songs on it is a haunting and melodic version of “Songbird.” The girl with the clear, sweet voice from the village at the end of the road had also attracted the attention of other famous musicians, including Eddie Kamae and Israel Kamakawiwo‘ole, who traveled to the remote Hawai‘i Island fishing village of Miloli‘i just to find out more about her and the old Hawai‘i songs that she sings. They were so touched by the village’s people and the passion with which they sang that they both asked permission to record songs they heard Diana sing there. It was in Milo'lii that I found my Hawaiianess I was lonely at first, I felt alone. The cousins and children my age never bothered about me. I was always with the elders, the older ones. That’s where I learned. Two of my aunts, the Grace sisters—Kalua and Rosaline—were the ones that really kept the music going, always singing the old songs. I started to learn [the language], but the songs spoke to me. Hawaiians are very observant and I would observe more than I would speak." 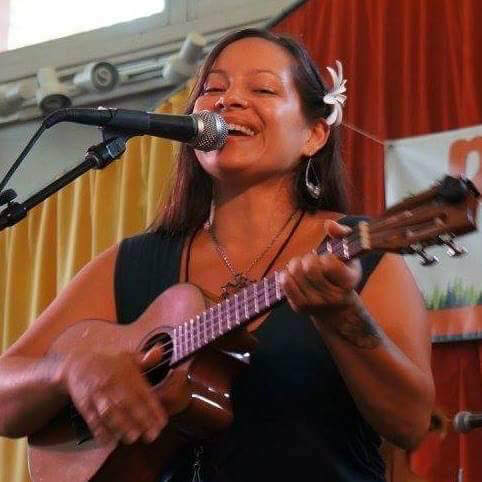 Her first album, Moments With You was entered in Nā Hōkū Hanohano awards competition, where she was honored with Best Original Song (Haku Mele) for “Mana‘o Pili” and the 1990 Female Vocalist of the Year. 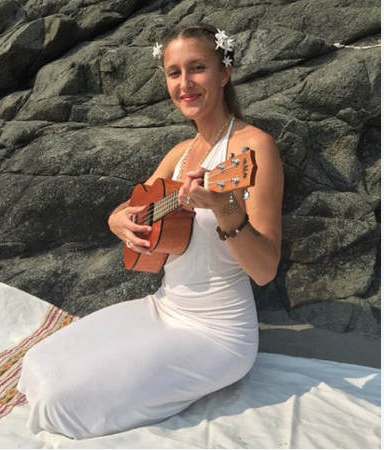 Mary Isis sings her visionary heart songs in the spirit of ceremony, with prayers to heal, awaken consciousness, uplift and empower those who listen. Her lyrical and melodic expressions of the universal human experience embraces the mystical and inspires remembrance of our true purpose and meaning in Life. 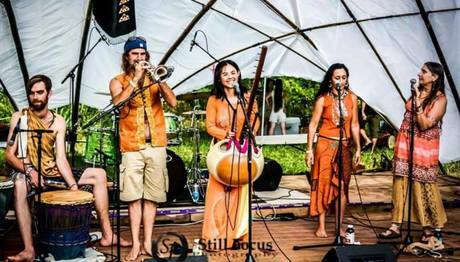 Big Island Hawaii (Puna) has been her home for most of her life, yet she continues to travel far and wide, sharing her musical medicine in festivals, spiritual communities, tribal gatherings, song circles, private retreats, charity events and healing ceremonies. 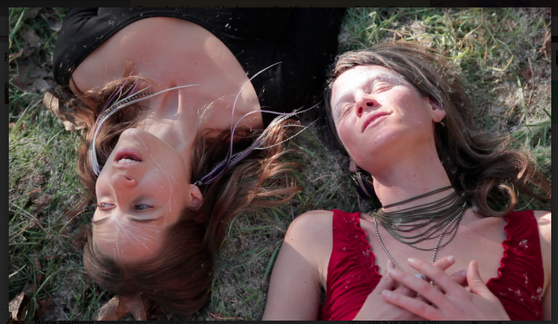 She is primarily based in Northern California where she produces her music healing botanicals and other sacred arts. and inspired prayers & compositions. 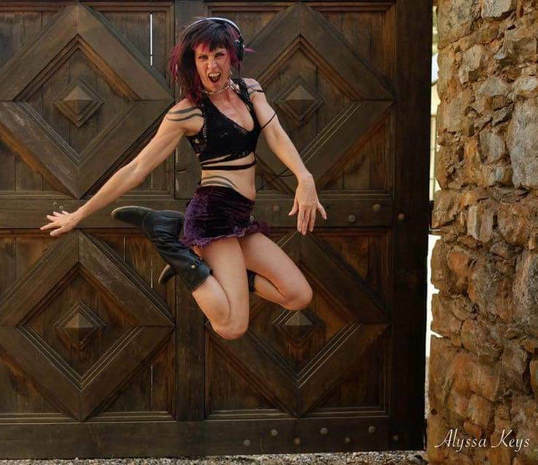 Leapin’ Lygress roams far and wide in the jungles of sound, hunting beats, breaks, and melodies served from the heart to move your body and soul. Her ecstatic dance sets feature an eclectic array of organic and electronic music woven into a tapestry intended to explore the full spectrum of human expression. on the Big Island of Hawaii in 2007. 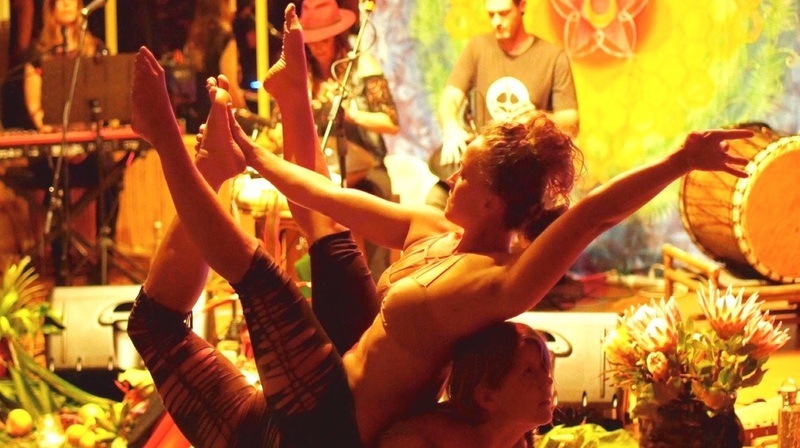 Leapin’ Lygress offers a ferociously fun ride that will awaken the wild creature within and leave you with a deep appreciation for the magic of movement in community. Manaka’s music merges harmonic sound vibration with prayerful lyrics to create conscious and positive change for the world. Manaka has always loved to sing since a young child. 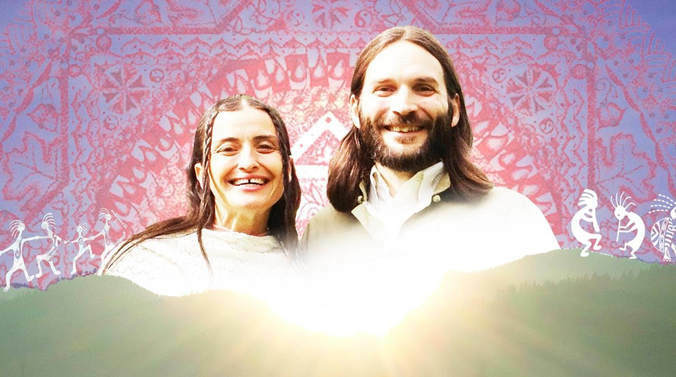 At the age of 15 she left home and started her journey of deeper awakening. 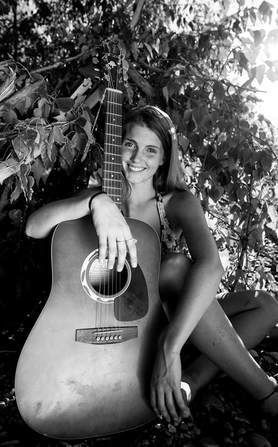 Thats when she picked up a guitar for the 1st time & started writing songs and performing as a tool to express herself. Her medicine songs are heart penetrating & uplifting affirmations that have been inspired by the pure reflection of love and the path of soul remembrance. 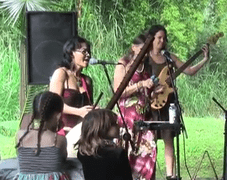 Manaka has performed at various festivals on the mainland and throughout Hawaii including Reggae on The River, Earth Dance, Raw Spirit, Seattle Hemp festival, Homegrown & Maui Earth-day just to name a few. 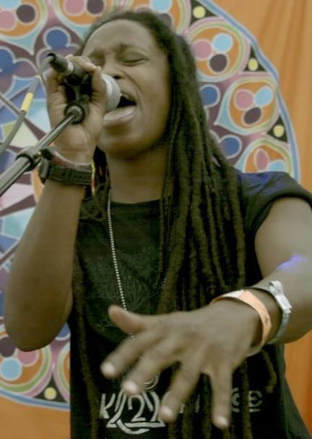 She has performed & recorded with artists such as Shimshai, Jah Levi, Murray Kyle, Lambsbread, Sasha Rose, Tina Malia, Jaya Lakshmi, & Shakina Ma. Manaka released her 1st album “Soul Remembrance” in 2007. 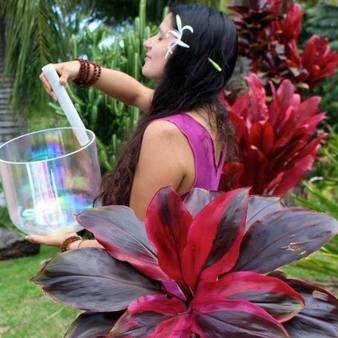 Manaka has been living on the beautiful Islands of Kauai and Maui for the last 17 years. She is a mother of a 9 year old boy and has been pouring her energy into self development, health,nutrition and being the change that this planet is needing in order to thrive. Music continues to be her biggest passion and she is beyond grateful to be sharing at the ManaFest for the 1st time this year. BRI SUMMERS & ROB RECKER. progressive folk and positive prayerful affirmations. 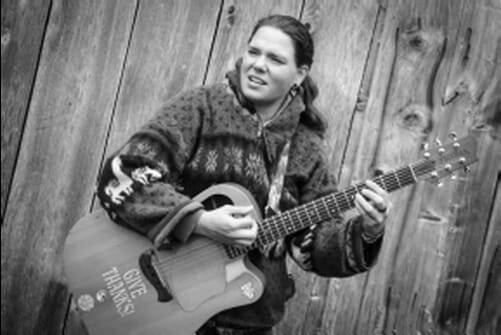 Folk goddess, Diane Patterson, sings the world awake with strong voice, rocking guitar, sweet ukulele, and revolutionary lyrics. Her sincere spirit and wild heart joyfully plant seeds of love and light in every listener. Based in Southern Oregon, independent and supported by her community, Diane considers herself a micro magical munition of manifesting: nature consciousness, cleanest food for body and mind, best balance and highest integrity of relations between all Beings. Since 1990, wordsmith Patterson weaves spirit and unifying social commentary, now around the world. breathes life into any room. Singing and performing since childhood, Bailey grew up listening to diverse musical styles from Pavarotti to Sam Cooke. 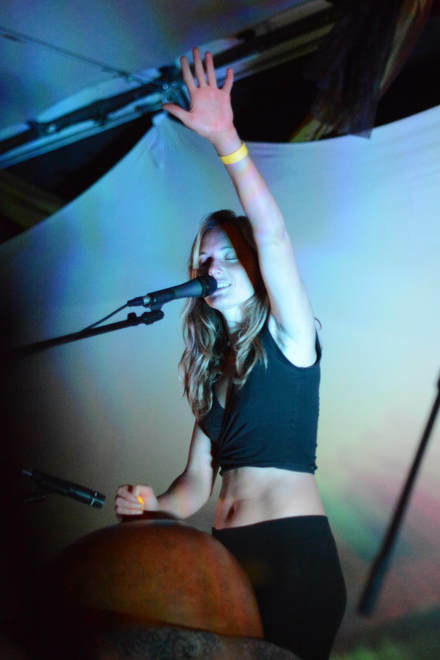 In addition to singing, she also plays percussion, flute and keyboards. Bailey got her professional start in 2004 with the Philadelphia-based band Jasmine Style. connect into the higher vibes of the moment. Singer/lyricist Tanyia Bluecorn and multi-instrumentalist & husband Keith Firesong have been making beautiful music together for over a decade and infuse their love for each other into their music. 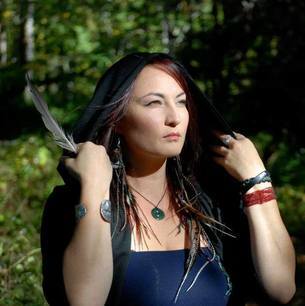 Influences include indigenous music, jazz, acoustic folk & electronica. 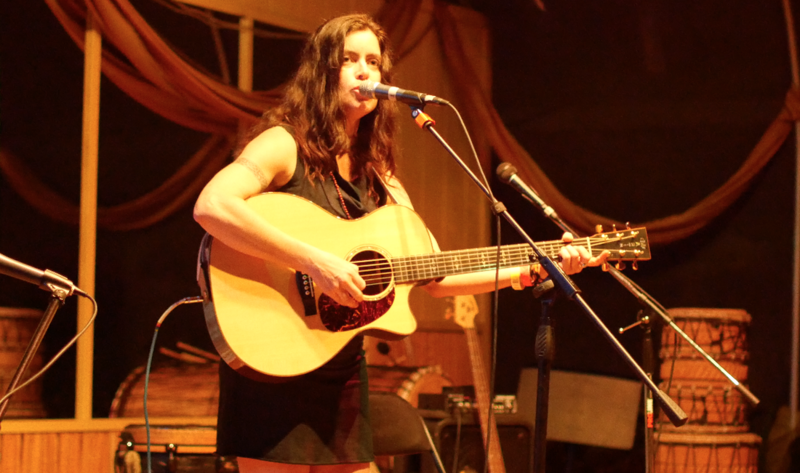 Multi-genre acoustic artist Tiana Malone Jennings started her musical journey in Seaside, OR at age 14, after losing a bet with a friend that forced her to join choir. Fortunately, she loved it so much that by junior year she was in 3 different choirs and had joined her first band. 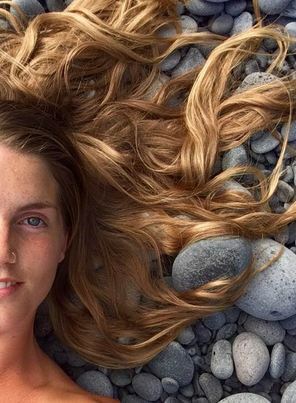 Working hard in College to finish her degree, she found herself on an unexpected journey to Hawaii. 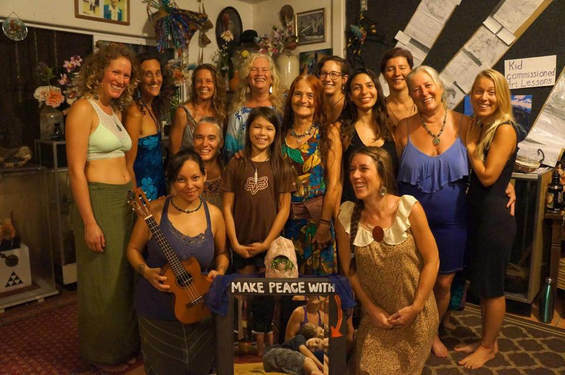 Living with a mesh of worldly cultures & eclectic musicians who are neighbors to the Volcano Goddess Pele has been a humbling, soul-changing experience, and her heartfelt, straightforward music reflects that. Recently, Tiana composed the music for the web-series Pele Ma, and won a Big Island music Award for her singles “Rise to The Thoughts” and “To the Sky(Solo Style).” She has opened for Hawaiian artists like Hapa, John Cruz, Syril Pahinui, and John Keawe, and enjoys playing local venues such as Uncle Robert’s Awa Bar, Volcano arts Ctr, and the Palace Theater. 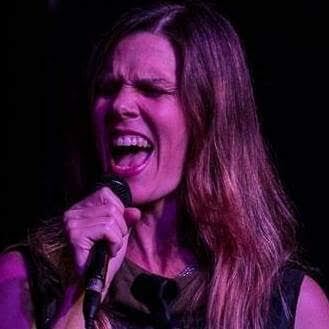 On top of performing and recording, she is a voice and music teacher in her spare time. Ukulele, Vocals, Violin, Bass, and hand drums make the core of ‘Off The Grid’. Soul Reggae Indie Blues. We live off grid deep in the jungles of Hawaii. Solar power, water catch and compost toilet organic living with the lava flowing near makes for interesting musical creations. We are unique! 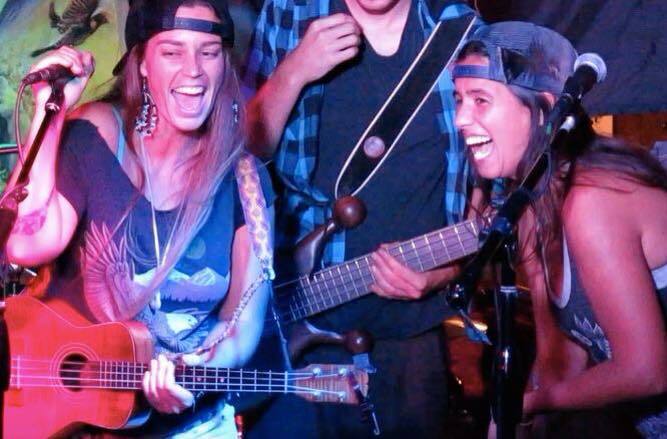 We have Opened for Nahko & Medicine for The People at the Kohala Aina Fest, the Blue Dragon, “where the lava ends” in Kalapana at Uncle Robert’s Awa Bar. Hoku Award Finalist for this year. Hawk Devi and Tiana have set out for smaller adventures to start the momentum going for Off the Grid all over California. They even sat in with the J Jean Band at the Ho’olaulea in down town Hilo. Always moving forward on to the next adventure! Xámada is the solo project of creatrix Sommer Fawn Moselle. A deep musical offering incorporating influences from three Brazilian mystical traditions: Santo Daime, Umbanda and Umbandaime. 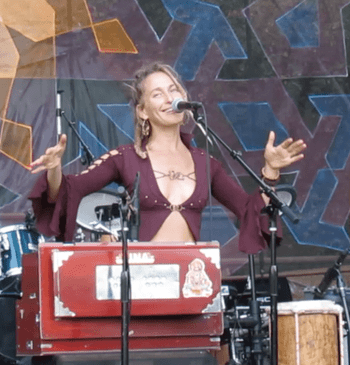 Xámada is the original sound channel of Sommer's spiritual journey of almost 18 years, through the healing "curimba" of the Amazon and the Afro-Brazilian expressions of the Orixa. 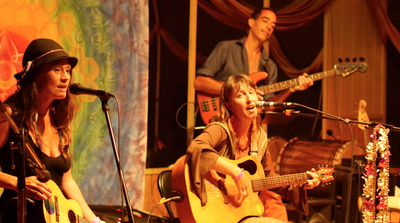 She is honored to share this music and offers her songs for the healing of our beautiful world. Omra is a Big Island resident since 1994. She works as a Visionary Artist, Singer/ Songwriter, and is a clothing designer for her yoga/ dancewear line, Omra Organics. 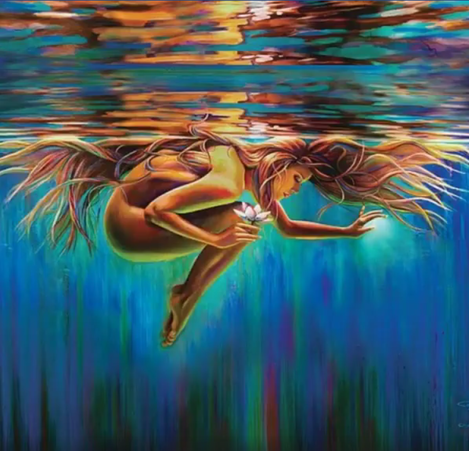 You can find her artwork at Heartist, giclees, Visions Oracle Cards collection and prints, on the Bayfront in Hilo HI. She also has a shop/studo on the bayfront with her clothing, at 144 Kamehameha ave, Hilo Bayfront. You can visit her online store on Etsy.com/shop/omra. Omra also practices healing arts, leads singing circles, cacao circles, and other ceremonies as well. 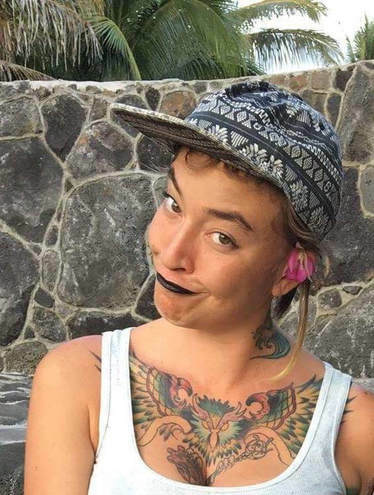 Kaahele is a Hawaiian word for “Journey” and the musical name of Kelly Hyde. Her lyrics are clever, uplifting, and comical, bringing awareness and at the same time making light of the human situation. 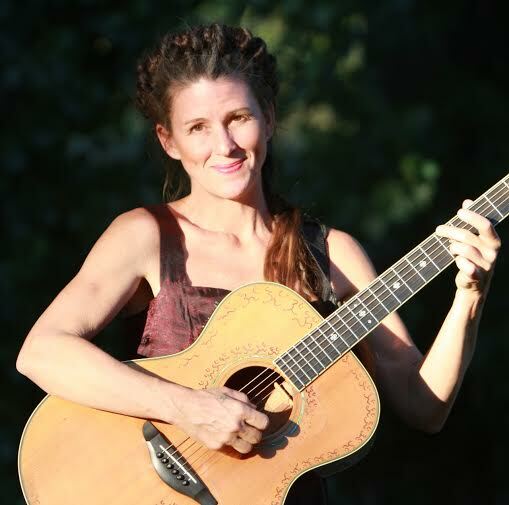 Her music covers an array of folk, reggae, bluegrass, and her own special flavor. 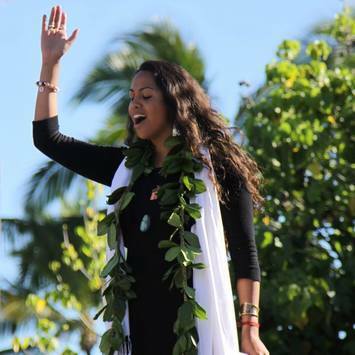 Kaahele speaks to the separation between the modern and natural world. She represents nomadic culture, and reaching out to those who could use a fresh point of view. Her songs are full of food for thought, and her melodies are soothing and creative. Listeners may feel inclined to laugh or be brought to tears. in the world as she continues to spread wisdom words. Listen and be inspired." 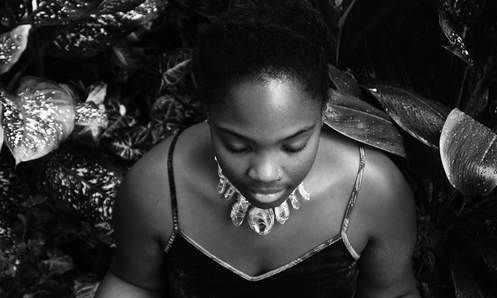 Priscilla Momah is a soulful song weaver inspired by the healing powers of music. She translates her journey of growth through rhythm and poetry to invoke ancestral connection and divinity through self-love.. 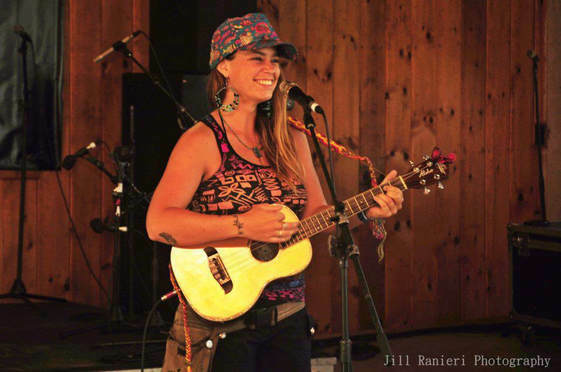 Originally from Minnesota, Priscilla continues to spread her tranquil stylings throughout the Midwest and the Big Island of Hawaii. Her selections of antidotal soul music has reached the ears of Flow Fest, Project Earth, The Full Eclipse Apex Gather, FEMN Fest attendees throughout the Twin Cities, Ohio and the Big Island of Hawaii. In early 2017 Priscilla started a collective called Heartbeat Instrumental creating a platform for melanated Kings and Queens to share healing arts through the expression of music, art and wisdom share. She continues to walk in her truth inspiring Kings and Queens to take their throne and activate in their unique expression of light. for the collectiveunveiling of the soul. of all generations and all walks of life. 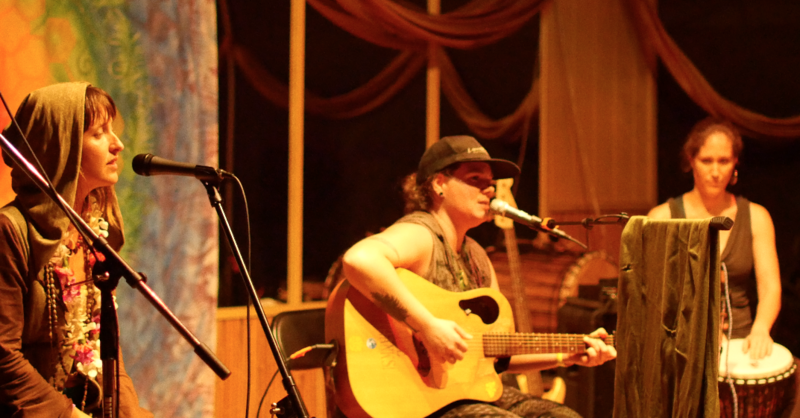 From the stage to the street Kaila is on a journey to bridge community through sharing visionary music. Kaila deeply touches the hearts of people and creates fans and friends wherever she goes. A Hawaii native, Aliina has traveled from Hawaii to Portland and back and has lifted her voice to sing with the likes of Nahko & Medicine for the People and Christopher Worth. 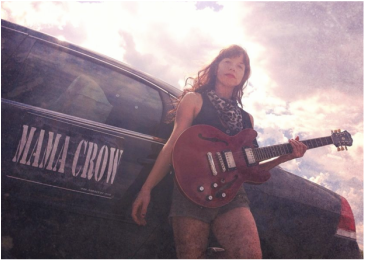 She is known for her powerful voice she wields in an eclectic style of jazz meets grunge meets soul fusion. Her original music is unique and is a must to check out. Currently back in Hawaii she is enjoying being a Mom and a songbird in paradise! Faye Adinda is a soulful singer/songwriter, creating songs from her heart. 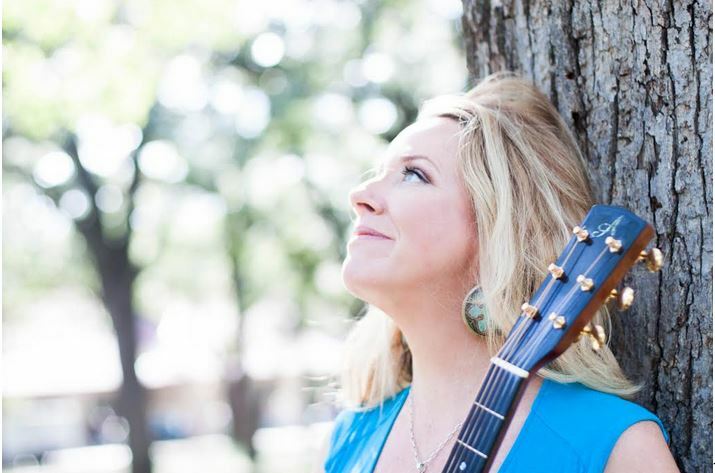 Her music vocalizes a personal journey of finding love and healing. You will find yourself easily inspired and enchanted by her catchy empowering lyrics, upbeat rhythms and melodic vocals. She is returning to MAnaFest for the second year. We are women who come together to sing. We gather to grow and improve our voices, empowering ourselves as song carriers, and to have fun! We all practice singing and expressing from the heart. What started as a class, has now grown into festival bookings, after only 2 terms of singing together! We do our best to align with the Divine through music, and hope that our sharing inspires all to nourish the power of their voice, creativity and community. served with a playful splash of uplifting lyrics in haunting harmony. 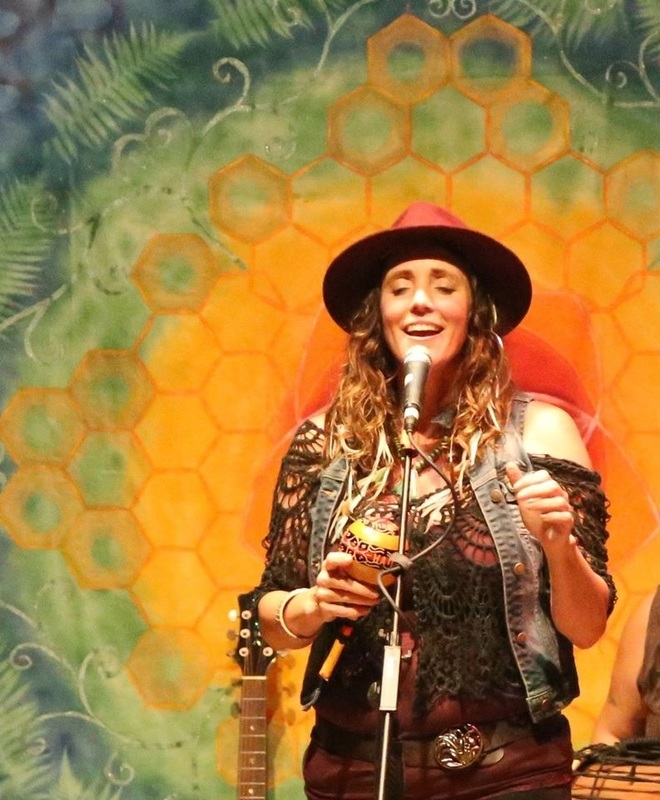 This merry duo (Sarah Nutting and Karisha Longaker), weave voices like a Celtic knot upon a sparse instrumental pallet of upright bass, guitar, mandolins and flutes. MaMuse is what a meadow would sound like if it could sing. West Coast, Cascadia, B.C., Minnesota, Hawaii and beyond. Sacred Relationship with Land, with Gaia,with Creation, with life and with each other! Sara has been blessed with many opportunities to share this music in a diversity of settings. This music is always an opportunity to Give Thanks and bring us that much more Close Together. Folk goddess Diane Patterson sings the world awake with strong voice, rocking guitar, sweet ukulele, and revolutionary lyrics. Her sincere spirit and wild heart joyfully plant seeds of love and light in every listener. Based in Southern Oregon, independent and supported by her community, Diane considers herself a micro magical munition of manifesting: nature consciousness, cleanest food for body and mind, best balance and highest integrity of relations between all Beings. Since 1990, wordsmith Patterson weaves spirit and unifying social commentary, now around the world. and soulful songstress evokes listeners on a deep, soul level. guttural blues belts and quick lyrical flow with insidious phrasing. later to take on the name and medicine of the Crow. With a genre ranging in a fusion of jazz, R&B, Hip Hop and Neo-soul. Vocally, she is like a love-child of Feist/Lauryn Hill/Nai Palm of Hiatus Kaiyote. Her influences vary from Beastie Boys, Bjork, Erykah Badu, Jimi Hendrix, Nina Simone,The Beatles, Jill Scott, Nick Drake, Pink Floyd, Fiona Apple, Tupac Amaru Shakur, Johnny Cash, Bob Dylan, Houdini, Josephine Baker and Janis Joplin. Born in Santa Cruz, California to peace loving parents that honored and nurtured her natural musical abilities, she began piano lessons at 7, with classical training in the Suzuki Method. At twelve her family uprooted and relocated to the Big Island of Hawaii and this has been home ever since. 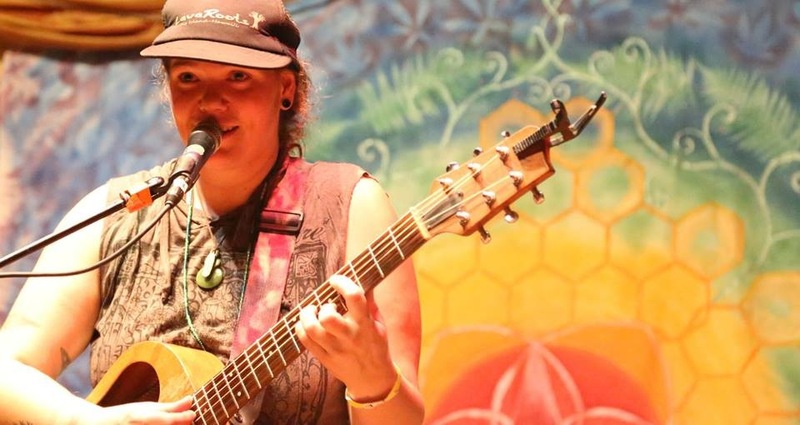 She plays a major role in her Puna community through the sharing of her visionary music, Producing sacred medicine music (co-founder of Nectarian Music Productions), and participating in Service projects and ceremonies that promote Healing, awakening and sustainability. Her vocals are her main instrument, which she usually accompanies with guitar or ukulele. 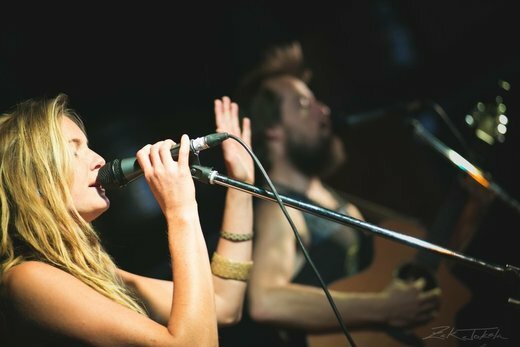 Some of her early days performing were singing harmony vocals with Nahko Bear in the early formation of Medicine for the People. Kaahele is a Hawaiian word for “Journey” and the musical name of Kelly Hyde. Her lyrics are clever, uplifting, and comical, bringing awareness and at the same time making light of the human situation. 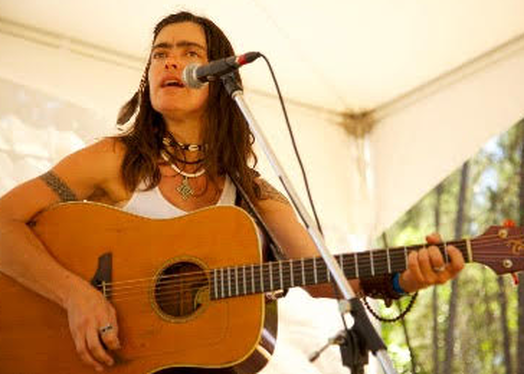 Her music covers an array of folk, reggae, bluegrass, and her own special flavor. 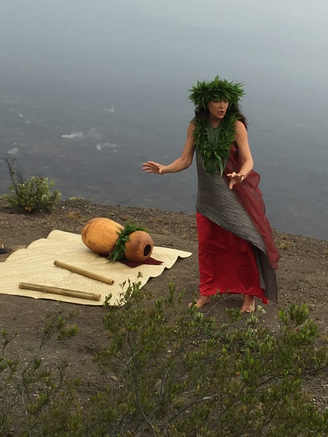 Kaahele speaks to the separation between the modern and natural world. She represents nomadic culture, holding respect for native people, and reaching out to those who could use a fresh point of view. Her songs are full of food for thought, and her melodies are soothing and creative. Listeners may feel inclined to laugh or be brought to tears. Ydine is a soulful songstress based out of Hawaii. an ever-evolving ensemble of local musicians. The beautiful compilation of a Cuban mother and Norwegian father, Ydine has cultivated a uniquely diverse musical style that cannot be defined by any particular genre. Her family origins and experiences thus far, such as sailing extensively throughout the South Pacific, traveling abroad, and living on farms throughout Hawaii, have heavily influenced all aspects of her music. Her lyrical poetry calls upon humanity to reach its fullest potential: to preserve our delicate ecosystems for future generations, to cultivate empathy and hold space in our hearts for those around us, and to go through this life fostering inquisitive and inspiring minds. Marya’s craft is deeply influenced by her background in Expressive Arts therapy. If you find yourself at a live show, you are likely embarking on a full ride through multiple story-lines story-lines of characters in various stages along the transformational arc. 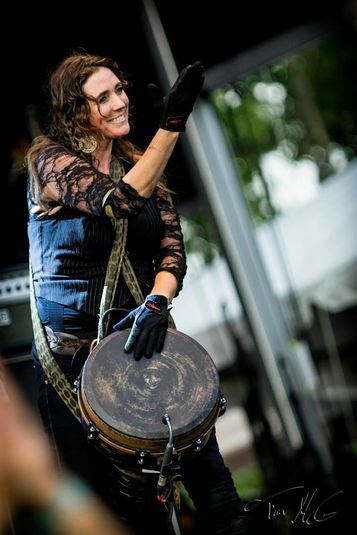 Marya loves to incorporate the audience right into the heart of the song through looping the audience’s voices, passing out props, and telling tall tales. 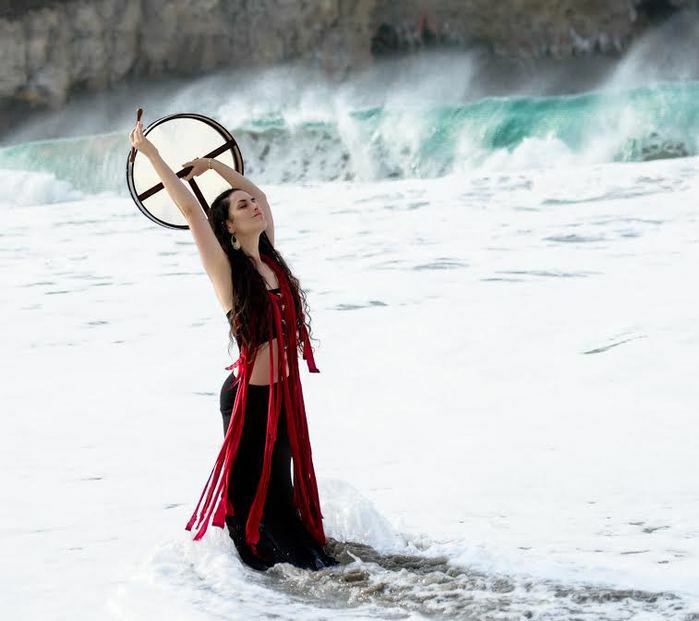 She is a carrier of myth, mystery, and medicine songs with which she embarks to create a ceremony of the human condition, taking her audience on a journey through the caverns of the soul. Unity Nguyen and the Band of Angels share traditional sacred songs from Africa and Viet Nam, and original world beat tunes. Rich vocal harmonies and deep grooves open our souls to Spirit and joy! Unity plays the 21-string African kora. A refugee of war from Viet Nam, she grew up organizing musical cultural events for the refugee community, and has spent her life empowering and healing communities through her skills in music, ecology, Chinese medicine, and Western medicine. She currently serves as a resident physician in Family Medicine in Hilo. We are Alive to live in joy. To work together to create a healthy, harmonious world. Each of us has our unique role to play in this Global Peace Movement. as a musician and activist. Prema Love is an Internationally touring / recording artist & Sacred Sound Alchemist & Lives on Maui HI. 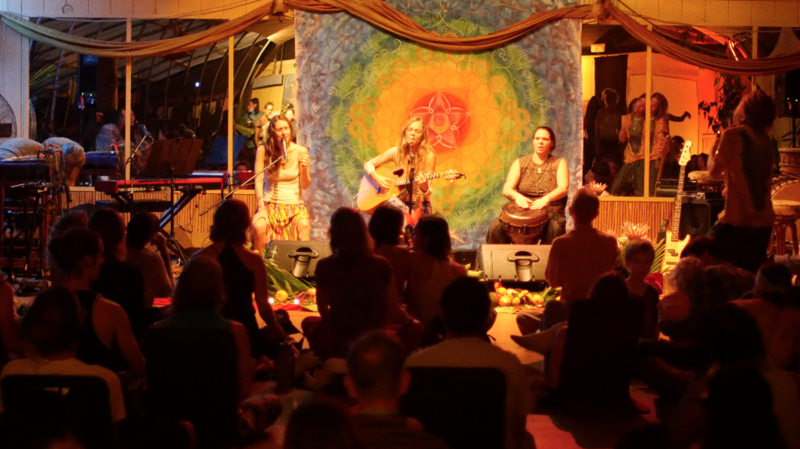 She travels to sacred sites around the Globe, sharing the gifts of Divine Love through Healing Light, Sound & Music. She is eternally inspired by the Divine Mother and here to honor & uplift the Divine Feminine in all. 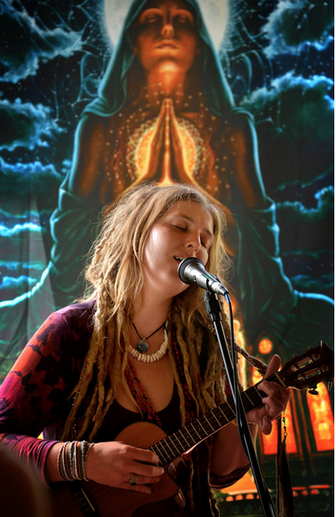 Her main instrument is her voice and guitar which she sings and plays with complete Devotion to the Divine. Om Lokah Samastah Sukhino Bhavantu. May all beings be happy & free.